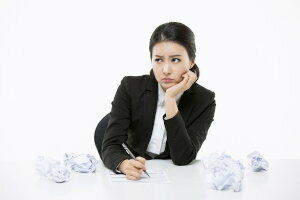 Are you miserable in your job search? If yes, here’s why: misery is easy, success takes work. Yes, I know that’s a hard one to grasp, but it’s very much related to my inertia theorem: the amount of effort necessary to be expended in a job search is directly proportional to the likelihood that it will delayed for another day. Job search is hard work. If you are unemployed, job search is your job. You might not think of it as your job, but it is. Until you have found work, you actually do have work. Your work is finding a job. People generally don’t like job searching because it’s not fun. It’s full of rejection. Why would I want to expose myself to that? Because rejection will be a part of getting you to your end goal. 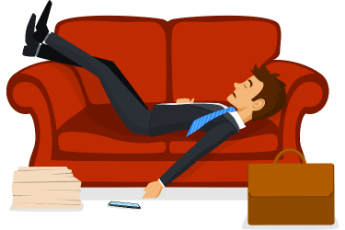 Job search is often viewed as a one-time activity which you must endure to find a job. But you should change your perspective to job search being a valuable skill that can be learned and mastered to benefit you throughout your life. Just as most of us are not financial managers, we are the financial managers of our own finances. So taking the time to learn how to manage our finances, to budget, save and invest are all life skills that pay future dividends, literally. The same thing with job search. Job search is a life skill that will continue to pay dividends throughout your career. And just as successful personal financial management will provide you with more funds and assets over time, successful job search will provide you with increased career opportunities over time. The good news is that it gets easier the more you do it. Entry level job search is often viewed as that necessary evil to get the job. Yet think about it this way. What is more important? The degree, which will help you learn how to do the job? Or the job itself? The degree is only a means to an end. The degree is the means, the job is the end. And the job is the means to the broader end of your longer-term career. And job search is the connecting process that takes that piece of paper to give it meaning and value. But you’re not doing this just once. Job search is a process you will repeat over and over in your career. Most professionals change jobs and careers many, many times over the course of their work lives. You may find yourself either moving up internally (which yes, is a job search in and of itself) or moving on every two to three years, especially early in your career. If your employer cannot offer you an opportunity to move up, there will be other employers out there offering that opportunity. Knowing how to maximize your job search will pay dividends throughout your career. So take the time to work through the misery, to work through the rejection, to jumpstart your career. Use the resources at CollegeGrad.com to move your job search forward, one day at a time. We can help you in all phases of your job search. But the first step is up to you. Stop by and we would be happy to help you out.